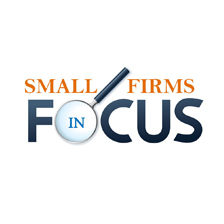 For small and mid-sized businesses, productivity is essential. With everyone wearing multiple hats and working hard to outrun larger competitors, you need technology that can help you make the most of every moment – but that isn’t difficult to deploy or manage. That’s doubly true when growth hits, requiring you to bring new people on, grow your technical capabilities, and yet avoid crippling complexity. Simply put, investing in the right technology for small business management sets your business up for the future. Together, Office 365 and Windows 10 offer a platform for success that lets you do it all – at a comfortable pace that suits your business. It can even remove the burden of many administrative tasks you may be performing manually, giving you more time to add value today and strategise for tomorrow. Most business users find the move to Windows 10 to be remarkably fast and easy. You’ll find everything you need immediately available on your desktop, with a familiar layout including the Start menu right where you expect it. Windows 10 enables you to immediately personalise the desktop using Live Tiles so you can quickly access applications and websites that you regularly use. It lets you run multiple applications side-by-side on your screen so you can multi-task when the need arises. Voice search functionality in Windows 10 helps users quickly find information on the PC, in apps or on the internet within seconds. The new Edge browser helps teams perform research faster and add comments directly onto a web page to share ideas. Now let’s talk productivity. If you’re not using Office 365, you might have copies of Microsoft Office on each PC, licensed in the traditional manner. However, it can be challenging to keep track of licences and make sure everyone is up-to-date with the latest tools. Upgrading from one desktop version to another can take time and effort. By choosing Office 365, you can get the advantages of cloud-based subscriptions for your core productivity applications. Because it’s subscription-based, adding or removing users is so easy, and you only pay for what you use. You can manage all your subscriptions from one online dashboard. Best of all, upgrades are automatic and continuous – meaning you get all the latest features without having to manually install new software. Your people always have the most up-to-date tools to help them get work done, and they don’t have to stop working to get them. Security is another critical issue that is too important to ignore, but can be difficult to manage and configure on your own. Together, Office 365 and Windows 10 can give you the confidence that Microsoft is taking care of infrastructure and data security so you don’t have to worry about it. You don’t need to spend precious capital on third-party security solutions: Windows 10 gives you robust desktop security built-in, including the Windows Defender application and firewall. And storing data in Office 365 means you’re taking advantage of Microsoft’s ISO certified data centres – much more secure than sending files through email. Technology can really make the difference when it comes to business growth. 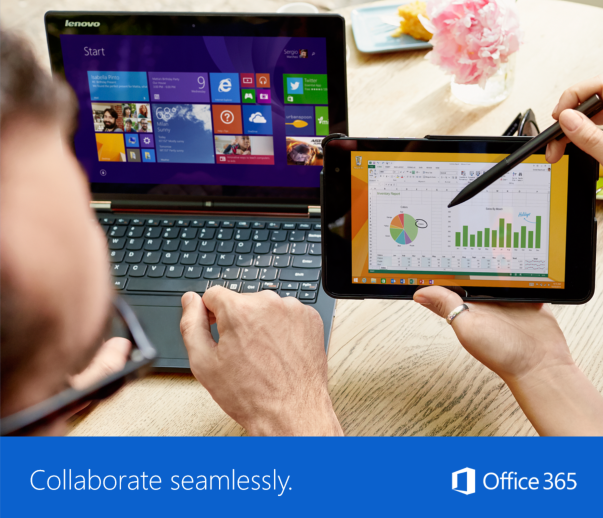 With Windows 10 and Office 365, your IT is as modern as it gets. It delivers features for virtually every type of user, it’s stable, it’s reliable and it delivers exceptional value. You work hard to ensure your business succeeds – but why work harder than you have to? Give yourself a break with Windows 10 and Office 365 today. To benefit from this offer or find out more about Office 365 and how it can help your business? Contact our Microsoft Partnership team ‘Cobweb‘ today. Click here to see the offer.